They say the only two things that are certain in life are death and taxes. The latter certainly holds true in this situation. Fortunately, the Australian tax system is relatively easy to follow and in most cases you can deal with the Australian Taxation Office through their website. This includes lodging tax returns and applying for a Tax File Number. The ATO website also provides information and advice on all tax related matters. Australian employers and employees use the Pay As You Go (PAYG) system. This means that your employer will withhold your tax from your regular earnings on your behalf. At the end of the financial year (June 30), you will have to lodge a tax return. The outcome may see you receiving a refund for excess tax you have paid throughout the year, or having to pay more. Some people choose to voluntarily pay more tax to ensure they are not left with a bill at the end of the financial year. The ATO website has a simple but comprehensive tax calculator you can use to ensure you are paying the right amount. Depending on your situation, you may also be entitled to benefits and tax breaks. It is a good idea to have a thorough look through the ATO website to make sure you are receiving all your entitlements. An Australian Tax File Number (TFN) is an essential requirement for gaining employment in the country. Your employer will use your TFN to ensure that you are being charged the correct amount of tax. Without a TFN, you may also be denied benefits to which you would otherwise be entitled. Additionally, if you hold an Australian interest account, you will need to declare your TFN to prevent being charged tax on the interest you earn. A TFN is an important identification tool, similar to an American Social Security number. You may need to use your TFN when dealing with the Australian Taxation Office or other government bodies. In some cases, banks require a TFN when you open an account. Your TFN will prevent you paying any unnecessary tax and can also protect you against identity theft. You may apply for a TFN if you have a working visa, permanent migration visa, valid overseas student visa or valid visa to live in Australia. There is no fee involved. The benefits of obtaining a TFN are far reaching so even if you are not planning on working it is still a good idea to have one. You can do so by visiting the ATO website, or by calling them between 8.00am and 6.00pm Monday to Friday. You need to apply for a Tax File Number (TFN) to work in Australia. You can obtain a TFN through the Australian Tax Office. Before looking for employment, make sure you have an Australian bank account and Tax File Number set up. A bank account can be organised through any branch Monday to Saturday. Tax File Numbers can be organised through the Australian Tax Office, a TFN is required by all employers and this will help international students to be sure they are not paying a higher tax rate. When applying for a TFN certain documentation is required this includes a birth certificate, visa, passport, confirmation of enrollment and photo identification. Once a year students will need to lodge a Tax Return stating any money earned. To find out more about Tax visit the Australian Tax Office at www.ato.gov.au. You will also need to set up an account with a Superannuation provider, many employers have their own which they will prefer employees to hold an account with. If not there are many different providers to choose from. 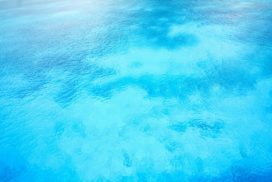 Superannuation is where a percentage of the tax you pay goes into a superannuation account, this is help until retirement or if an emergency situation arises. Get your Australian tax back! 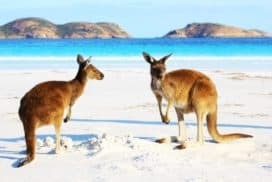 Tax is probably the last thing on your mind when you’re embarking on your adventure in Australia, but you should know that while working there, you’re taxed on your earnings. Luckily, you have the legal right to claim back the money you’ve overpaid for taxes. Tax refunds may seem complicated, but they don’t have to be! We have joined forces with Taxback.com so they will do all the hard work for you. Forget about the headache of dealing with complicated procedures and worries whether you have done everything right. Taxback.com’s highly-qualified tax experts will file your taxes accurately and ensure that you receive the maximum legal tax refund. 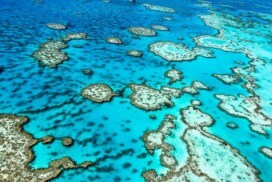 If you've already left Australia, we can also help you claim your superannuation refund. Superannuation is a percentage of your salary put aside for the purposes of a retirement fund, but if you’re not staying in Australia until retirement, you’re entitled to claim this money back! The Australian financial year runs from the 1st July to the 30th June, so make sure you have enough time to arrange the procedures and prepare all the paperwork needed for the tax return process. All you need to do is download our taxpack and send it to us with your payment documents – that's your PAYG form or final payslip. If you’ve lost them, don’t worry, we can find replacements for you. Then just relax while we file your Australian tax return and send the money straight to your bank account. It’s that easy! 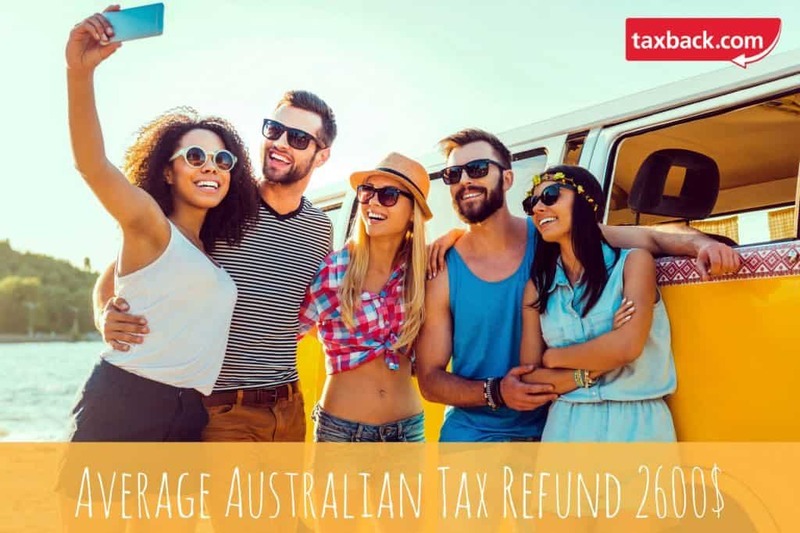 Why use Taxback.com for your Australian Tax Return? No upfront costs – no refund, no fee! Maximum refunds – average income tax refund is $2500, average super refunds are $600-$5000! The government has finally made an official ruling on the “Backpacker Tax”, which will affect all working holiday visa holders (417 and 462) starting from January 1 2017. From January 1, the tax rate for those on working holidays will be 19% on earnings up to A$37,000. This has been brought down from the proposed 32.5%. Above A$37,000 ordinary marginal rates will apply, which means all earnings from A$37,001-$80,000 will be taxed at the standard 32.5% rate. Backpackers will no longer be eligible to be classed as residents for tax purposes, no matter how long you stay in any one location. The tax on working holiday makers’ superannuation when they leave Australia will also be increased to 95%. This equates to a very low likelihood for tax returns or departing super payments. eligible age limit will be increased from 30 to 35 (at some stage). visa application charge reduced by A$50 (now A$390). an employer with premises in different regions may retain a backpacker for a year, so long as the second six months is worked in a different location (currently, a backpacker can only stay six months with the same employer). Thanks to an employment law called Casual Loading, almost all of the jobs we provide to our members have a minimum pay rate of $22.13 per hour or more (that’s $17.92 after backpacker tax!! ), which equates to the highest backpacker earning potential of any working holiday country in the world! And don’t forget, we have 3 of the top 10 most liveable cities in the world too. At this time, we do not have an official stance on how this will affect 2016/17 tax returns and eligibility for arrivals before January 1 2017, but we will publish an update as soon as the information becomes available. 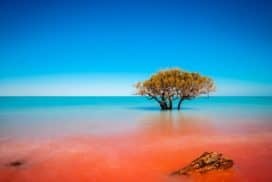 Paying Tax in Australia - Information for International students, travellers and foreign people wanting to work in Australia. There are some exceptions to this rule. If you spend most of your time in one particular place, take out a lease on a flat or premises in your name, obtain an Australian driver’s licence; join local clubs etc. 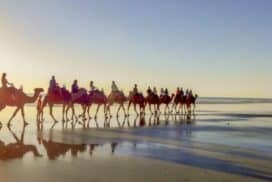 and pretty much lead a lifestyle that could be construed as that of a resident more so than that of a traveller, it may be possible for you to be classed by the Australian Taxation Office as a resident. This would mean that you may be eligible to only pay approximately 50% of the tax rate of a non-resident. When you have to submit a tax return in Australia it would be a good idea to find a good tax accountant to see if and what tax breaks and classifications you may be eligible for. More information on classifications and tax rates can be found on the ATO’s (Australian Taxation Office) website. Before working or looking for work you will need to obtain a Tax File Number (TFN). If you don’t do this, apart from finding it very difficult to obtain work, you would be taxed at an even higher rate which would leave you earning next to nothing. To obtain a TFN you will need a working holiday visa and an Australian address. You can apply online at the ATO’s website. Your taxation return will need to be submitted on the 30th June (the end of the financial year) or before you leave the country to return home. As previously mentioned it is wise to enlist a tax accountant to lodge your return and they will charge roughly $AU100 to $AU150. 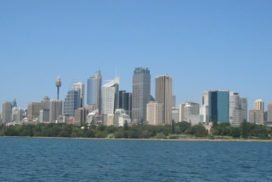 How to claim back your tax in Australia when working in Australia? * You can either contact the following web addresses for your application form: www.taxback.com.au or www.ato.gov.au. Both agencies are set up to provide you with the necessary information required when applying for tax back. * Both agencies mentioned above can give you an early assessment of the tax amount you are entitled to receive. Also the form you need to fill out when filing for tax back can be obtained from either agency mentioned afore, or from your local tax office, or by calling the National Distributions Service 1300 720 092. * After collecting the necessary form, you should then proceed to acquire a basic surmise of payment from each employer you have worked for within that year. If possible, collect all relevant P45s. If it is not possible for you to obtain your P45, both agencies above will help locate it for you. * Your TFN is needed as proof of identity that you have worked and paid tax while in Australia. * Complete the form mentioned above and either post it or scan and email it to any of the agencies mentioned above. * Your assessment will be processed through www.gov.au in four-six weeks, and through www.taxback.com in approximately three-six weeks, depending on the nature of your individual application. If you have any further questions regarding applying for your tax back, the following web sites are comprehensive in answering and providing information regarding such queries- www.taxback.com and www.gov.au.